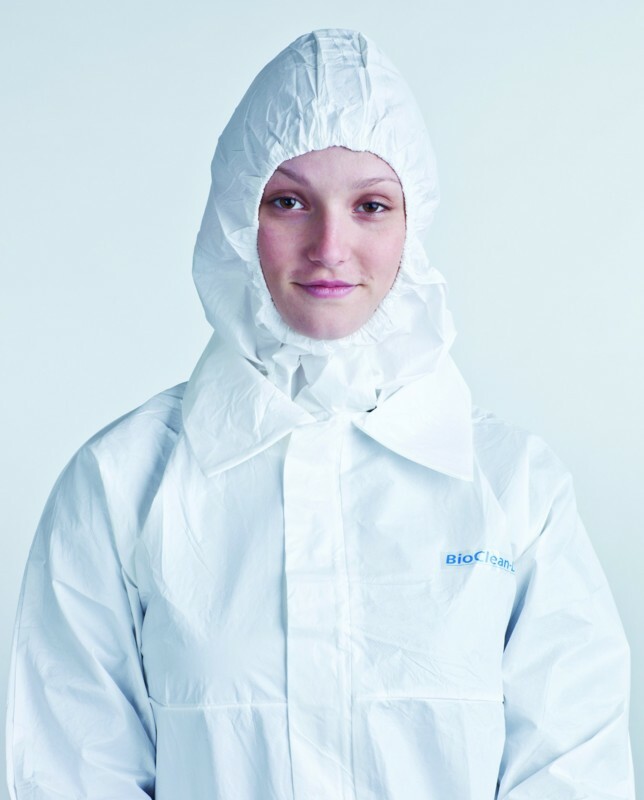 BIO-D quality garments are manufactured from a revolutionary new Clean-Tough fabric which is antistatic, lightweight and hard-wearing. They have been carefully designed and researched to provide the wearer with both superior comfort and maximum protection. All Bio-D products are individually packed in a sealed bag. The special print encapsulation process ensures bags can be wiped down with cleaning or sterilizing fluids without fear of cross contamination. With the Bio-D clothing you can protect yourselves optimally from head to foot. EKBIO30(size) Coat: Very strong seems, 2 hip pockets, chest pocket, open cuffs, rear vent, extremely strong fastening S-XXL 30 pcs. EÜSTBIO Overboots: Elasticated top, non-slip sole Unisize 150 pcs. EÄBIO180 Sleeve covers: Elasticated openings, protection from wrist to upper arm Unisize 180 pcs. EHBIO180 All-round protection hood: Good fit on the head, elasticated face opening Unisize 180 pcs. 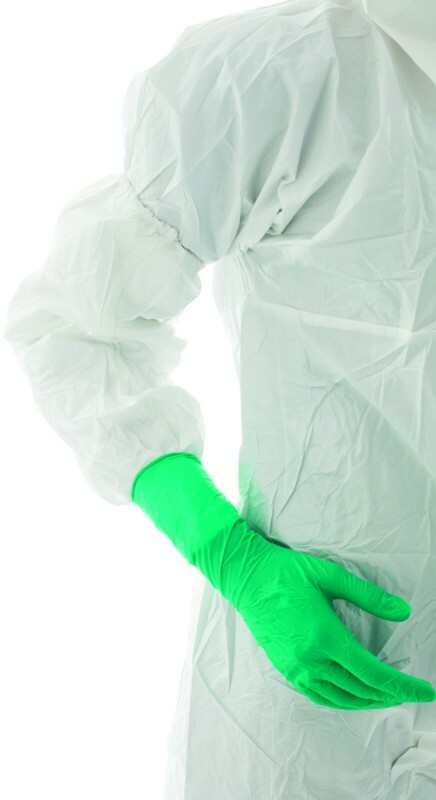 EOVBIOK20(size) Overall with hood: Hood, cuffs and ankles with elasticated finish, zip fastener XS-XXL 20 pcs. 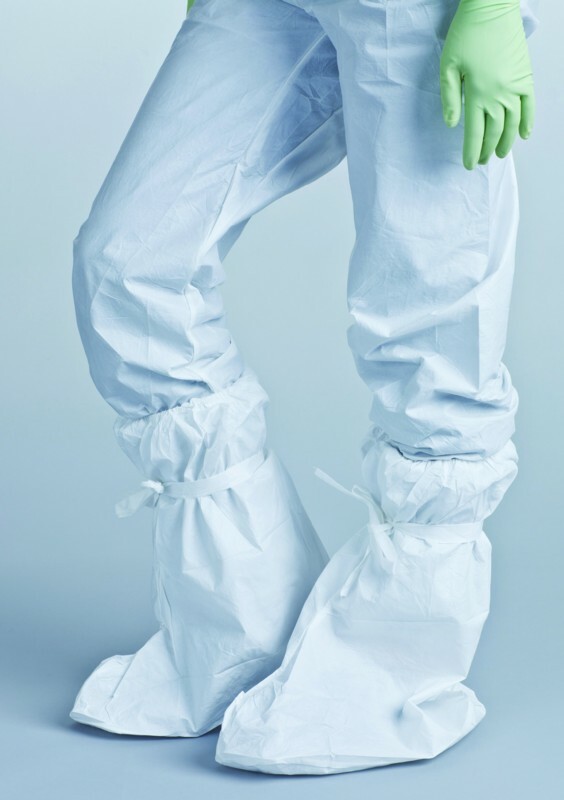 EOVBIO20(size) Overall: Zip fastener, elasticated back, cuffs and ankles with elasticated closure S-XXL 20 pcs.